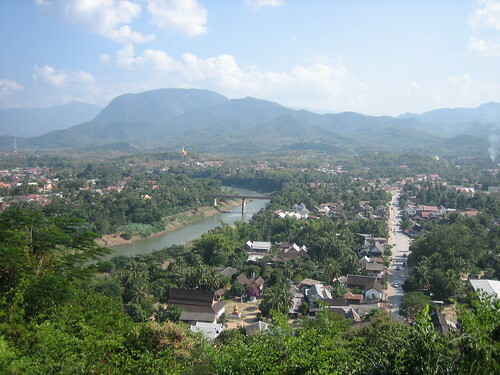 Luang Prabang is situated on a peninsula at the confluence of the Mekong and Khan Rivers. A laid-back town with a population of around 50,000, it is nevertheless the most popular destination in Laos. Luang Prabang was once the Laotian capital and today a UNESCO World Heritage Site, well-known for its temples, monasteries, traditional architecture and colonial buildings. More at Guide to Luang Prabang. Luang Prabang is not the place for fun and excitement but an appreciation of Laotian history and culture. A quiet town but nevertheless will keep you occupied during your stay here. The town comprises of four main streets located on a peninsula between the Mekong and Nam Khan Rivers. 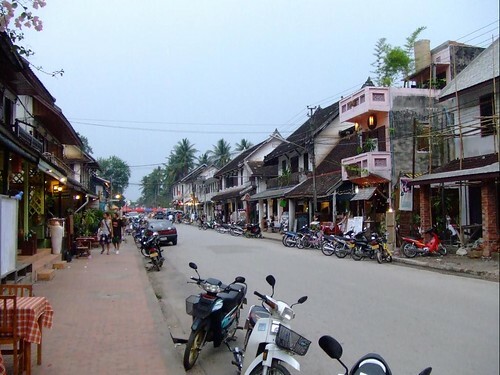 A walk around town, you will discover Luang Prabang to be a mix of Laotion and French influence. 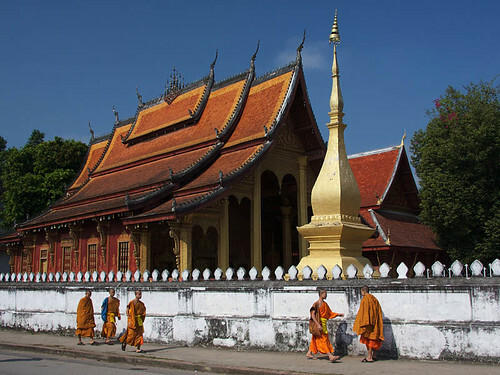 Luang Prabang is home to numerous temples and monasteries. Among the well-known are Wat Sen built in 1718 by King Kitsarath and Wat Xien Thong built in 1560 by King Setthathirath. Buddhist monks in their saffron coloured robes are common sight in this town. 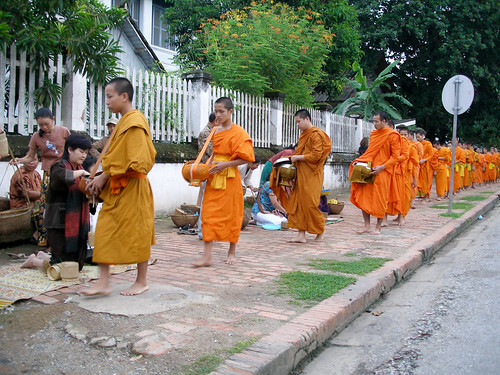 By dawn, you can see kneeling townsfolk along the streets giving alms of food including rice to the monks.